Rt. 9 Mini Storage is a family owned and operated self storage facility that understands the hardships of our customers and accommodate by whatever means possible. We have space for automobile storage, boat storage and any other storage needs you may have. Our self storage buildings, located South Glens Falls, NY are made of fireproof steel. The facility is lighted, fenced, clean and dry with 7 day access. Drive-up to the exterior doors on our one story buildings. Yearly discounts available. The facility is located at 1435 Rear Route 9, Moreau, N.Y. and our office and mailing address are 53 Lamplighter Acres, Moreau, N.Y. 12828. We provide spaces for automobile storage and boat storage as well as residential and commercial storage needs. All of our available storage options change daily. To get our up-to-date list of storage solutions, contact us now! Our entire facility is surrounded by fence and lighted at night. 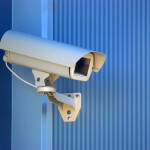 We also have a motion activated camera system to ensure maximum security and safety. The facility is located at 1435 Rear Route 9, Town of Moreau, N.Y. We are located 10 minutes from Glens Falls and 15 minutes from Saratoga. We have two types of storage available for your needs. Outside and Outback. Please refer to the Sizes tab for details.